At the beginning of 2018, Kiko Matthews set a new world record as the fastest female to row, solo and unsupported, 3280 miles across the Atlantic. A non-rower and having never been past the Isle of Wight in a boat, Kiko still managed to take a week off the previous record! What’s more, in 2009 she survived a life threatening pituitary tumour and after being discharged from Intensive Care, she realised that life was for living and she wanted to make a difference. In 2017, seven months before departure she returned to the operating table to have a second, unexpected, tumour removed. 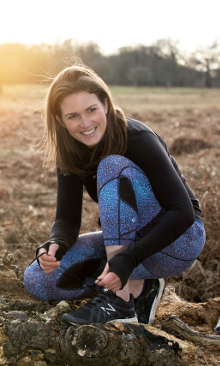 The care she received at King’s College Hospital was incredible, so she set her sights on using the challenge to raise £100,000 for their charity, which has already been surpassed. As an ex-teacher and self-confessed ‘talker’, Kiko is often described as relatable, authentic and funny. This is a hard hitting and inspiring story, where Kiko focuses on developing resilience, overcoming adversity, leadership and mental health issues. Kiko talks about her journey from a child through to the record achievement. How does someone who has never rowed, or been to sea before (and sixth months prior to leaving has her second brain tumour removed) achieve a world record? Kiko believes anyone can do it and her talk is about this, becoming resilient, being happy and the eternal search for Mr Right! Hi, thought this Lecture may be of interest http://www.wildernesslectures.com/speaker.php?id=240 ----------------------------- Kiko talks about her journey from a child through to the record achievement. How does someone who has never rowed, or been to sea before (and sixth months prior to leaving has her second brain tumour removed) achieve a world record? Kiko believes anyone can do it and her talk is about this, becoming resilient, being happy and the eternal search for Mr Right!